Sungai Kolok has a busy medium sized bus terminal which is located on the main highway about 3 km from the town centre. 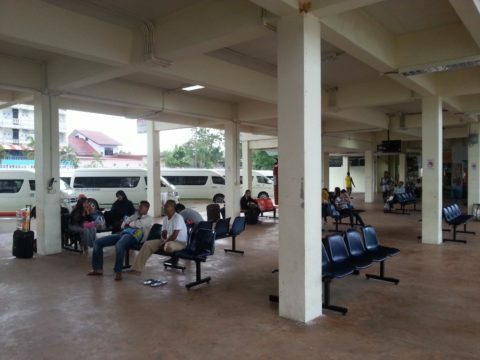 Sungai Kolok bus terminal is the place to go to for a minivan to Hat Yai, or a bus direct to destinations such as Bangkok and Koh Samui. Sungai Kolok is located in the very far South of Thailand, on the border with Malaysia. There are no direct services from Sungai Kolok Bus Station to destinations in Malaysia. There are however a number of minivan services which travel direct to towns and cities in the South of Thailand as well as to Bangkok. For other destinations you need to change to a connecting bus or minivan service at a larger bus station. 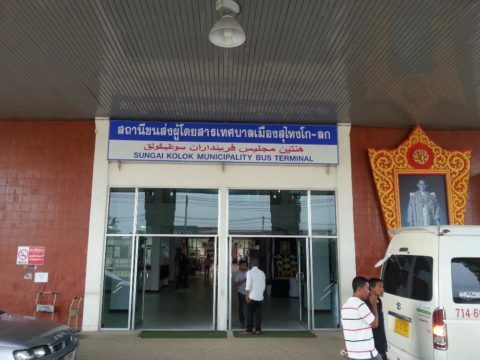 Thailand Life Tip: If you arrive in Sungai Kolok after 14.55 then head straight to the bus station if you plan on travelling north in Thailand on the same day.The last train from Sungai Kolok to Bangkok, via Surat Thani and Hua Hin, departs at 14.20. The last daily train from Sungai Kolok to Hat Yai departs at 14.55, this is Train #176 which terminates at Hat Yai Junction. Sungai Kolok Bus Station is 3 km by road from Sungai Kolok Train Station and 3.3 km from Thai side of the border with Malaysia. There are always plenty of taxis near the bus station, the train station and at the border crossing to Malaysia. Many solo travellers, however, choose to take a motorbike taxi. Expect to pay 20 to 40 THB for the journey by motorbike taxi between Sungai Kolok Bus Station and Sungai Kolok Train Station, and 40 to 60 THB for the journey between the border and Sungai Kolok Bus Station. Sungai Kolok has a relatively small bus station with only 14 bus platforms. There are not many shops or restaurants within easy walking distance of Sungai Kolok Bus Station but there are places to buy a limited range of food and drinks within the station itself. Toilets near to the bus departure platforms. 2 small shops inside the terminal building. 1 cafe inside the terminal building and two small restaurants with seating by the bus departure platforms. 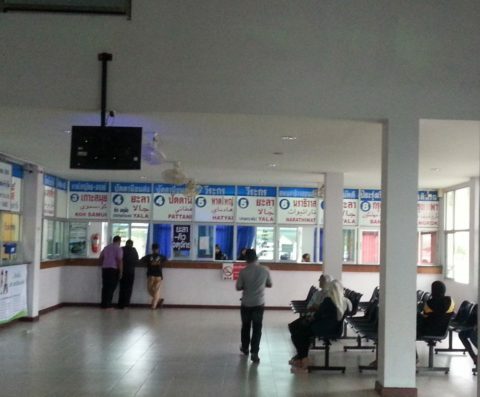 Inside the bus terminal building, by the main entrance, there are 9 ticket counters. You can identify the correct ticket counter by the destinations written above each counter. If you still have problems identifying the correct ticket counter then ask at any counter. This is not such a busy bus station and I have always found the staff there particularly helpful. On popular routes minivan services depart approximately once an hour, but only when they are full. Generally, you never need to book a ticket on a minivan in advance, although you might need to wait a while for a space in a minivan during the busiest periods. For the longer distance bus services from Sungai Kolok to Bangkok you are less likely to be able to turn up and buy a ticket shortly before you travel, particularly on the VIP services, and booking in advance is recommended. Locations in the three Southern Provinces of Yala, Pattani or Narathiwat. 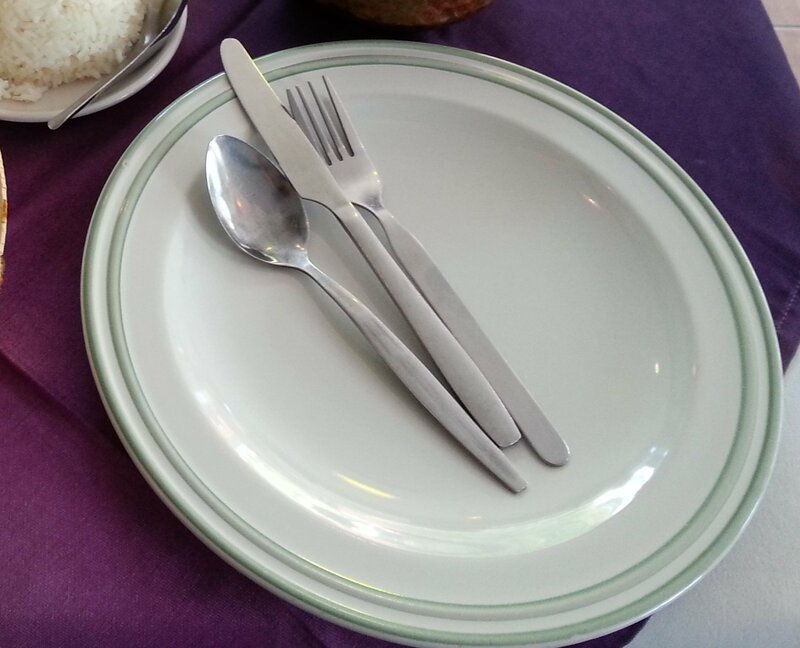 If you want to travel anywhere else in Thailand, then take a minivan from Sungai Kolok Bus to Hat Yai and change to another minivan or bus when you arrive. 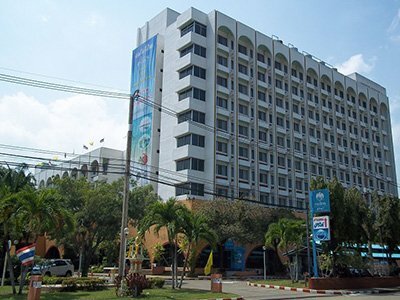 Hat Yai Bus Station is the major transport hub for the region. For travel South into Malaysia you need to cross over the border and head to Rantau Panjang Bus Station for local bus services to Kota Bharu (and from there to the Perhentian Islands) and intercity bus services direct to Kuala Lumpur. 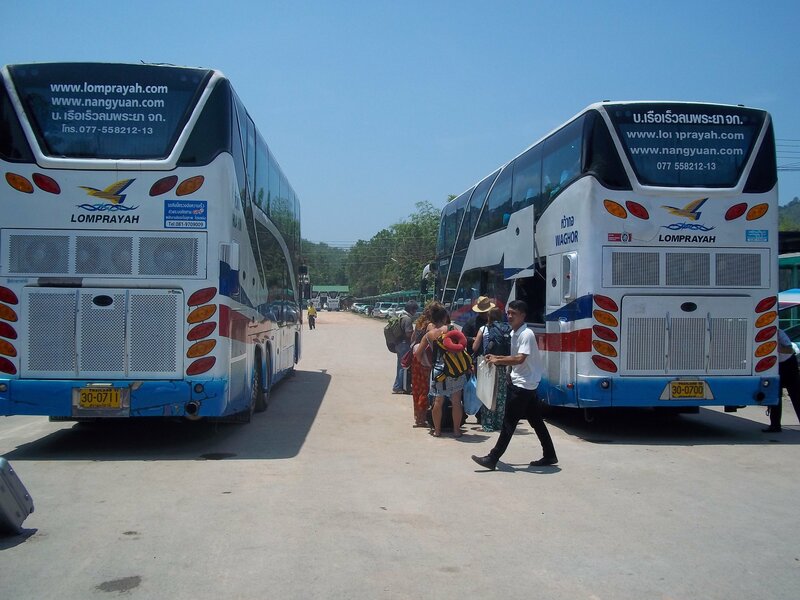 There are three classes of bus which you can take from Sungai Kolok to Bangkok. Generally, the more expensive the ticket the more comfortable the bus seat will be. Standard: 47 seats on the bus. Express: 40 seats on the bus. VIP 24: 24 seats on the bus, allowing each seats to recline further. Journey Time: The journey normally takes 15 hours. Cost: Tickets cost from 706 THB to 1,365 THB. This is a journey by minivan with a single comfort break at a service station on route. Cost: The journey by minivan costs 200 THB.